Ever since both sides of my family came to the United States they were farmers; which means, almost by definition, they were Democrats. My grandparents loved Roosevelt, and my parents loved Kennedy. I was, myself, active in the Democratic Party. I was a precinct coordinator for the 1988 Presidential Election before I was old enough to vote. On my eighteenth birthday I registered to vote, and increased my party involvement as much as I could. I saw very quickly, however, that the Democratic Party was no longer the party of Roosevelt, nor even the party of Kennedy. It was a party that took it as a given that they would receive the electoral support of the poor and minorities, but that it had very little actual concern for them. I saw, even on the local level, that it was a party of upper class, wealthy conservatives; or anyway,, they seemed wealthy and conservative to me. They were homeowners with two-car garages filled to capacity, living in palatial suburbs. They were basically Republicans, as far as I could tell. And this is pretty much the direction the Democratic Party continued to move for next 20 years. They could still take it as a given that they would get the votes of the poor and minorities simply because everyone believed that the Republicans would be even worse. By 2016, very few people believed that anymore. The closest thing we had to a Democrat was Bernie Sanders, and the Democratic Party treated him like a leper. If either Roosevelt or Kennedy ran today, the Democratic Party would consider them radical Leftists, even though they would be expressing the things most of the population still believes in. So, yes, huge swathes of the electorate just refused to participate. It is absolutely true that Trump won the election because the population is disillusioned with the political process, and they are fed up with the status quo. It is not true, however, that this profound dissatisfaction translated to support for Trump; it didn’t. It translated to disgust, apathy, and lack of participation. There is no “Trump Movement”. On almost every issue, he is out of step with the views of the population. So there is a movement taking place in America, but it is manifesting itself, not in political participation, but in rejection. The majority is turning away from the political process for the redress of their grievances. I hoped that Hillary would win, not because I still feel any loyalty to the Democratic Party, but because I believed that the…shall we call it the “Rejectionist Revolution”?…opposition would manifest itself in policy criticisms and a genuine political critique; whereas I believe that under Trump, opposition is more likely to be expressed in personal loathing for the man himself. If that is the case, politics will not change. Indeed, “status quo” politics will likely make resurgence in the next election cycle. The Democrats are not going to have to change, because they are not going to be the party that faces the criticism, and, insofar as they are now the opposition party, they will keep their complaints on a petty and irrelevant level, as they did throughout the campaign, and in the days leading u to the inauguration. They will not have to be rehabilitated; and they desperately need to be rehabilitated. 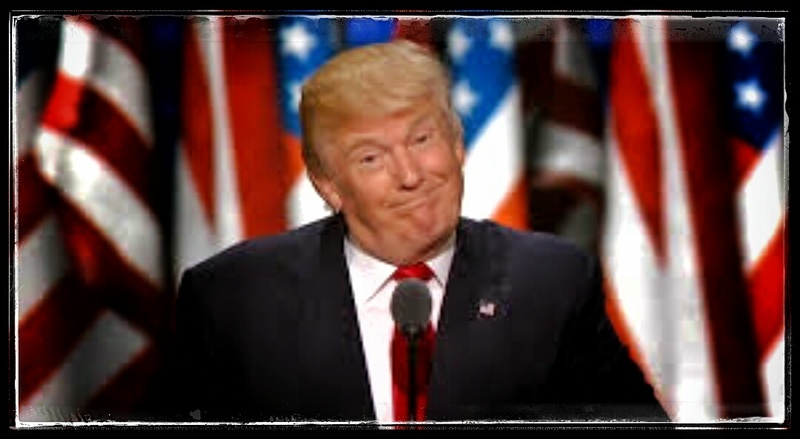 Throughout his campaign, I always assumed that Candidate Trump was a fictional character; a role scripted according to careful market research of the most disgruntled and potentially active segments of the American electorate. Just prior to the election, this was more or less confirmed by something Trump said in an interview when he stated that, if he didn’t win, he would regard the past 18 months as a “big waste”, because everything he has been doing, he has been doing in order to win. See, any other candidate would say something like, “if I don’t win, it was all worth it, because I contributed to the political discourse, I raised issues, I gave a voice to people who were not being heard otherwise,” and so on and so forth. But no, Trump’s campaign had nothing to do with any of that. His campaign was a no-holds-barred, aggressive, do-what-you-have-to-do, say-what-you-have-to-say, hard sell to get the top job. It was a one-man show dramatization of his book “the Art of the Deal”. And we have to give it to him, it was a brilliant campaign; unprincipled, unethical, immoral, indecent; but brilliant. His campaign cost less than $1 million; that is unheard of. But he knew how to get massive, indeed, endless, free media coverage. And the more he was ridiculed by the mainstream press, the more his core constituency’s support solidified, because they distrust the mainstream media, and Trump’s team surely knew that. I don’t think that Trump hates Muslims, or illegal immigrants, or even Hillary Clinton. I don’t think he is racist. I think he is just a sociopath who was willing to promote hate to garner votes; he has an equal degree of disdain for everyone who is not a billionaire. The stark contrast between Trump the Candidate and Trump the President-Elect began to emerge immediately. During his acceptance speech he said that Hilary Clinton deserves the nation’s respect and gratitude for her service to the country, as opposed to her deserving to be put in jail, as he had previously said. The plan to ban Muslims from the US was removed from his website. And I am sure plenty of his other campaign postures will change drastically, because they were all ploys and bluffs and just part of his strategy to win the White House with the support of people he would probably never want to be seen in public with in real life. 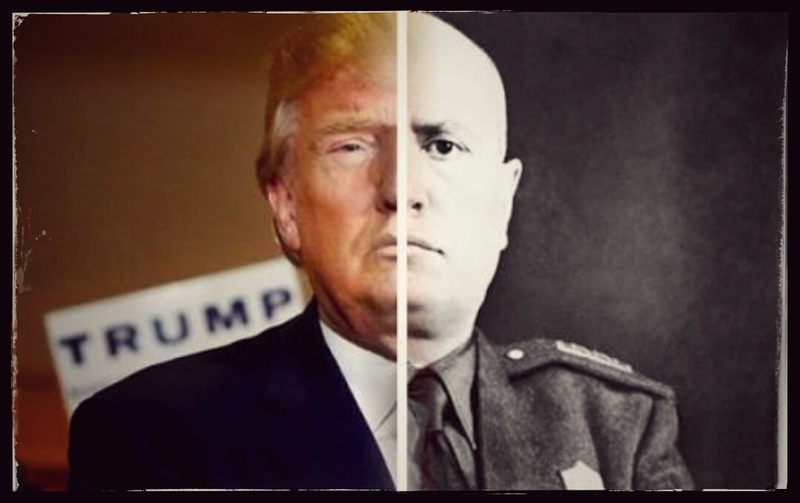 There are people who hate Trump because he is a fascist buffoon, and there are people who love him because he is a fascist buffoon; and they have both been tricked. He is not a fascist buffoon. Of course, because he acted like a fascist buffoon in order to win, he has hurt the society. Anti-Muslim attacks rose 80% and racist and anti-Muslim attacks have spiked since his election, and the actual fascist buffoon population in the US has gotten bolder. He may, or he may not try to quell this, depending on whether or not he thinks it is useful to him to do so. But, I think it is a mistake for Democrats and Liberals to completely close the door on the possibility that his presidency may achieve some positive changes. He is the first president in decades who is not beholden to corporate financiers; so many decades that no one alive can remember any president who wasn’t. He was able to break the political establishment’s iron-grip on the democratic process in the United States, with only 25% of the electorate supporting him (roughly half of the citizenry didn’t vote). By running an incredibly negative and ugly campaign, all of the people who could have prevented him from winning just opted out of the process because they were so disgusted; this amplified the voting power of his core constituency, and yes, he was able to win almost entirely against the wishes of the power structure. Even if he did that through diabolically manipulative tactics, it is still remarkable, and there actually is something hopeful about that. It is possible to elect someone who is not part of the political establishment. No one knows what he will do. That is kind of scary, but it is also kind of exhilarating, because, let’s be honest, whether it was Bill Clinton, Bush, or Obama, we all pretty much knew exactly what to expect, just as we knew what to expect from Hilary: more of the same. America has its first independent president in generations, this is, quite frankly, a turning point in history. If Trump actually follows through on protectionist economic policies, and a more isolationist foreign policy, I think it will be very good for the US, and indeed, for the world. If he implements Reagan-esque policies like deregulation and more corporate tax cuts and tax cuts for the wealthy, of course, that will be quite damaging. But I think the point is, we genuinely do not know, because whatever he said during his campaign cannot really be taken as an indication of his real position. We simply have to wait and see, and it is important that we do that…wait and see…rather than automatically, or preemptively attack his presidency based on the nature of his campaign. لو عَقلنا الأمر قليلًا سنجد أن ترشح ترامب من المنطقي أن يؤدي إلى رئاسة كلينتون! فالأعمال والتجارة تكاد بلا ذرة شك أن تفضل هيلاري كلينتون، بقدر ما أنها تمثل الوضع الراهن للسياسة الاقتصادية، وأنها مرتبطة بعمق بوول ستريت. أما الخطاب الحمائي لترامب فهو ليس جذابًا للأعمال الكبيرة، فحملته تقريبًا بالكامل كان تمويلها ذاتيًا، وهذا ليس له صدى جيد على الإطلاق مع سلطة الشركات، فالحملات السياسية هي في الأساس مزادات تتيح للشركات فرصة أن تستثمر في المرشحين لشراء السلطة السياسية التي ستمارس في نهاية المطاف بمجرد وصول هذا المرشح إلى سدة الحكم، وبما أنه لا أحد اشترى ترامب، فهذا يجعله غير جدير بالثقة في نظر سلطة الشركات. ليس هناك شك في أن كل شيء تقريبًا يقوله ترامب لأنصاره لهو من قبيل الكذب، فخطابه ما هو إلا خدعة لحشد كل السخط الشعبي في صالحه. وبمجرد أن يصل إلى سدة الحكم، فمن غير المحتمل أن يواصل تنفيذ أي من التغيرات السياسية الجذرية التي يدعو إليها الان، ولكن مجرد الدعوة إليها في حملته الانتخابية بالتأكيد يجعل أصحاب الأعمال غير مرتاحين بالمرة، فسوق الأسهم طبيعي أن ينخفض في كل مرة تظهر فيها استطلاعات الأرقام أن ترامب في صعود، لأن المستثمرين يكرهون عدم وضوح الرؤية، لهذا فالأموال التي ستصب في حملة كلينتون ربما تكون غير مسبوقة. ترامب ليس الملياردير الأول الذي يقوم بتمويل حملته الرئاسية، ففي عام 1992 ترشح هـ. روس بيرو، ملياردير تكساس، ضد بيل كلينتون كمرشح مستقل، وكانت رسالته متطابقة تقريبًا مع ما يستخدمه ترامب اليوم، بل أنه في مرحلة ما تفوق عليه في استطلاعات الرأي، وكان يتمتع بدعم شعبي كبير، كما حمل بشدة على التبرعات السياسية للشركات ودعا إلى السياسات الاقتصادية الانعزالية، ولهذا فقد تم إسكاته تمامًا. وعلى الرغم من الركود في هذا الوقت، إلا أن الديمقراطيين كانوا قادرين على جمع تمويل قياسي هذا العام، متجاوزين المبالغ المحصلة في السباق الرئاسي لسنة 1988 بنسبة 20٪. ولكن النقطة هي أن السخط الذي يتلاعب به ترامب حقيقي، فالسياسات الاقتصادية في العقدين أو الثلاث عقود الماضية خلقت هذا التفاوت وهذا التدهور في نوعية الحياة، وهذا التوتر وعدم الرضا الواسع والعميق، مما جعل الأوضاع في الولايات المتحدة قابلة للاشتعال بشكل لا يصدق، وقد وصل ترامب إلى هذه النقطة من خلال تأجيج الجذوة المشتعلة لهذا السخط، وهذه النار سيكون من الصعب جدا إخمادها. فوز كلينتون، والذي كما قلت، سيأتي عن طريق دعم الشركات والأعمال الكبرى، والذي سيترجم إلى التزام أكثر صرامة بالسياسات التي تسببت في استياء دائرة ترامب (وساندرز) سيكون قادرًا على تفجير معارضة واسعة النطاق، وبلا شك فإن ترامب وأنصاره سيطعنون بشكل موسع في النتائج وسيتهمون حملة كلينتون بتزوير الانتخابات، وأنا بصراحة أعتقد أنه من غير المرجح أن تكون كلينتون قادرة على البقاء في منصبها لفترة ولايتها كاملة، في مواجهة ما قد يصبح اضطرابات اجتماعية وسياسية ذات أبعاد ثورية. أما بالنسبة لفوز ترامب!! حسنا… هذا يمكن أن يكون أسوأ بكثير، فستتم معارضة ترامب من قبل الكونجرس المملوك للشركات في كل منعطف، وحتى لو التزم في الواقع بتعهداته السياسية، فهذا من شأنه أن يضعه في صورة الرئيس الصادق الذي يحاول الوفاء بوعوده، ولهذا سيصبح في إمكانه أن يحشد أنصاره ضد المؤسسة السياسية، ومع طبيعة “البلطجة” التي تغلب على أسلوبه في الحشد، فهذه المعارضة من الممكن جدا أن تتحول إلى أشبه ما يكون بالمافيا. أيضا، فإن ترامب بارع بشكل ملحوظ في فن التلاعب المشين والإلهاء، سيكون قادرًا على خلق صراعات وقضايا وهمية لإدارة محور السخط الشعبي تجنبًا للمواجهة عندما تصبح الظروف في ظل رئاسته أسواء، وهو الشيء المتوقع أن يحدث في حال رئاسته. كما قلت من قبل، عندما يقول ترامب شيء من قبيل، “شركة أبل ستبدأ في تصنيع منتجاتها في أمريكا بدلًا من الصين”، فما يعنيه هو أنه سيفرض نفس أجور وظروف عمل الصين في الولايات المتحدة، فهو لا يقصد خلق وظائف في أمريكا على حساب أرباح الشركات متعددة الجنسيات، ولكنه يقصد تطبيق منطق العولمة في أميركا، مما سيجعل القوى العاملة في أمريكا منافسة للقوى العاملة في العالم النامي… وبخفض الأجور، يمكن لترامب بسهولة أن يضع كل اللوم على المهاجرين، على سبيل المثال. إذًا من المرجح أن تتسم رئاسته بنشر الصراع الداخلي بين الطوائف المختلفة داخل الولايات المتحدة، مع التدهور المتسارع للاقتصاد المحلي. الأزمة الاجتماعية والسياسية تتعاظم ككرة الثلج في الولايات المتحدة، والانتخابات لن توقف هذا التعاظم ولكنها من المتوقع أن تؤدي إلى تفاقم الأزمة. Conventional wisdom would be that a Trump nomination means a Clinton presidency. Business will almost certainly prefer Hillary Clinton, insofar as she represents the status quo of economic policy, and is deeply connected to Wall Street. Trump’s protectionist rhetoric is not appealing to big business. His campaign was almost entirely self-financed, which cannot sit well with corporate power. Political campaigns are essentially auctions in which corporations invest in candidates to purchase the political power they will eventually wield once in office. No one has purchased Trump, and that makes him untrustworthy in the view of corporate power. There is little doubt that almost everything Trump says to his supporters is a lie. His rhetoric is a cynical ploy to mobilize popular discontent in his favor. Once in office, he is unlikely to follow through on any of the radical policy changes he advocates now; but his mere advocacy of them on the campaign trail certainly makes business uncomfortable. The Stock Market is likely to dip every time Trump’s poll numbers go up, because investors loathe uncertainty. The money that will pour into the Clinton campaign will probably be unprecedented. Trump is not the first billionaire to finance his own presidential campaign. In 1992 H. Ross Perot, a Texas tycoon ran against Bill Clinton as an independent candidate, with an almost identical message as Trump uses today. At one point, he led in the polls, enjoyed great popular support, railed against corporate political donations, and advocated isolationist economic policies. He was shut down. Despite a recession, the Democrats were able to collect record-breaking financing that year, exceeding the money collected in the 1988 presidential race by 20%. But the thing is, the discontent Trump is manipulating is real. The economic policies of the last two or three decades have created such disparity, such deterioration in the quality of life, such tension and such deep and widespread dissatisfaction, that conditions in the United States are incredibly volatile. Trump has reached this point by inflaming the smoldering embers of this discontent, and that fire will be very hard to put out. A Clinton victory, which, as I have said, will come by means of support from big business, and which will mean even stricter adherence to the very policies that have caused the discontent of Trump’s (and Sanders’) constituency; has the potential to set off massive opposition. Trump, and his supporters, may well challenge the results and accuse the Clinton campaign of rigging the election. I honestly think that it is unlikely that she will be able to remain in office for her full term, in the face of what may become social and political turmoil of revolutionary proportions. A Trump victory…well…this could be even worse. Trump will be opposed by the corporate-owned congress at every turn, even if he actually does attempt to follow through on his policy promises. This would allow him to portray himself as sincere in those promises, and to mobilize his supporters against the political establishment; and, given the decidedly thuggish nature of his style of mobilization, this opposition could become mafia-esque. Also, Trump is remarkably adept in the art of cynical manipulation and diversion, and he will be able to create conflicts and fake issues to manage the focus of popular discontent to avoid scrutiny when conditions under his presidency only get worse, which they will. As I have said before, when Trump says something like “Apple is going to start manufacturing their products in America instead of China”, what he means is that he will impose China-level wages and working conditions in the US. He does not mean bringing jobs back to America at the expense of multinational corporate profits, he means applying the logic of globalization to America; making the US workforce competitive with workforces in the developing world. Driving down wages, Trump can easily blame on immigrants, for example. His presidency is likely to be characterized by spreading internal conflict between different communities within the States, with accelerated deterioration of the domestic economy. ها قد بدأ الأمر! كتبت مؤخرًا عن إمكانية حدوث اضطرابات في أعقاب الانتخابات الرئاسية الأمريكية في نوفمبر المقبل، إذا حدثت حالات من التجاوزات الانتخابية تجعل أي من مؤيدي الحزب الديمقراطي أو الجمهوري يرفضون نتائج الانتخابات! حسنا، في الانتخابات التمهيدية لنيويورك يوم الثلاثاء، تم منع أكثر من مائة ألف ناخب من المشاركة، وبشكل أكثر تحديدًا تم منع 125،000 ناخب من منطقة محل بيرني ساندرز في بروكلين، وتمت إزالة أسمائهم من قوائم التصويت ومنعوا من الإدلاء بأصواتهم، وعلى خلفية هذه المخالفات، فازت هيلاري كلينتون في الانتخابات التمهيدية في نيويورك، وانتقلت خطوة أقرب إلى تأمين ترشح الحزب الديمقراطي للرئاسة. وكانت كلينتون سابقا عضوًا بمجلس الشيوخ عن نيويورك، وهي على علاقة وثيقة بالآلة السياسية للحزب الديمقراطي هناك، ومسؤولو الحزب هناك يفضلون كثيرا أن يرون كلينتون كمرشحتهم بدلا من ساندرز، فكلينتون تملك نفوذًا أكثر بكثير ولديها أموالًا أكثر بكثير من سناتور ولاية فيرمونت، فهي تجني من الأموال مقابل محاضرة واحدة تلقيها في القطاع الخاص أكثر مما يجنيه ساندرز في عام كامل، بالتالي فهناك مخاوف حقيقية أنه قد تم التلاعب بنتيجة الانتخابات التمهيدية في نيويورك لصالح كلينتون. وها نحن نرى الأن احتمالية حدوث نزاعات حول نتائج انتخابات نوفمبر اذا فازت كلينتون، في هذه الحالة فإن ترامب وأنصاره (والأمر مفروغ منه انه سيكون مرشح الحزب الجمهوري)، سيكون في مقدورهم اتهام معسكر كلينتون بالتلاعب بنتيجة الانتخابات، كما يبدو أنه قد حدث بالفعل في نيويورك؛ ولهذا سيرفضون النتائج، ومع طبيعة أتباع ترامب من المتوقع لهذا الرفض أن يأخذ شكل التمرد ضد رئاسة كلينتون، هذا على أفضل التقديرات. علاوة على ذلك، إذا شعر أنصار ساندرز، وهم في الغالب من الناشطين الشباب، بأن مرشحهم قد تعرض للغش ومنع من الترشيح للحزب الديمقراطي ظلما، فمن المحتمل أن تكون لديهم قلاقل في جانبهم هم أيضا. It has started already. Recently I wrote about the possibility of turmoil following the US presidential election in November if there were incidences of voting irregularities which would cause either the Democratic or Republican supporters to reject election results; well, in the New York primary elections on Tuesday, over one-hundred-thousand voters were barred from participation. More specifically, 125,000 voters in Bernie Sanders’ home district, Brooklyn, were purged from voting lists and banned from casting their votes. On the back of these irregularities, Hillary Clinton won the New York primary, and moved a step closer to securing the Democratic Party nomination for the presidency. Clinton was formerly a senator for New York, and intimately connected to the Democratic Party’s political machine there. Party officials would much rather see Clinton as their candidate than Sanders, and Clinton herself wields far more clout and has much more money than the Vermont senator. 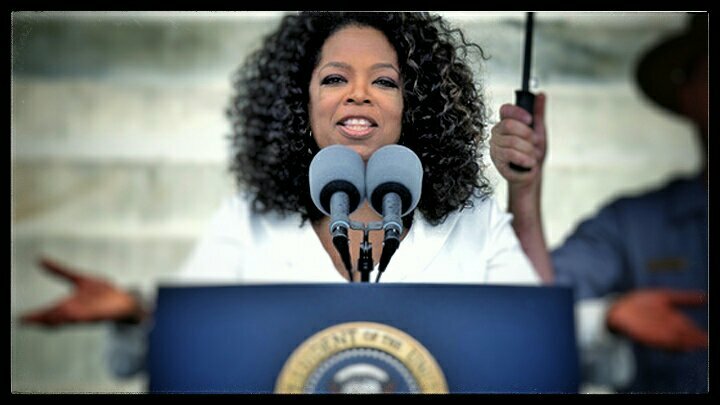 She makes more money giving one speech in the private sector than Sanders makes annually. So, there is a genuine concern that the New York primary was sabotaged in Clinton’s favor. Thus, we see already the potential for disputes about the outcome in November if Clinton wins. Trump and his supporters (it is a foregone conclusion that he will be the Republican candidate), will be able to accuse the Clinton camp of sabotaging the elections, as it appears they may have done in New York; they will reject the results, and, given the nature of Trump’s followers, this rejection could take the form of violent, if low-level, insurrection against a Clinton presidency. 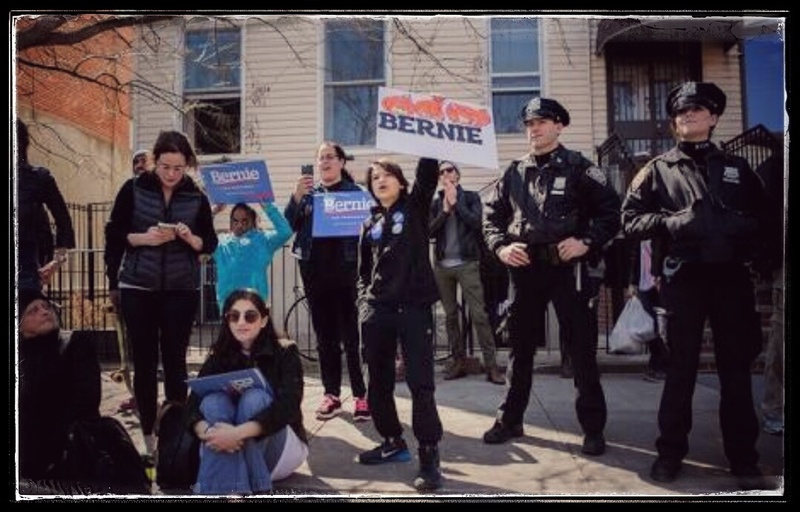 Furthermore, if Sander’s supporters, who are mostly young activists, feel that their candidate has been cheated and unfairly blocked from the Democratic Party nomination, there could potentially be disruption from their side as well.